Today I’m honoring my other Grandma on her birthday. She would have been 102 years old today. 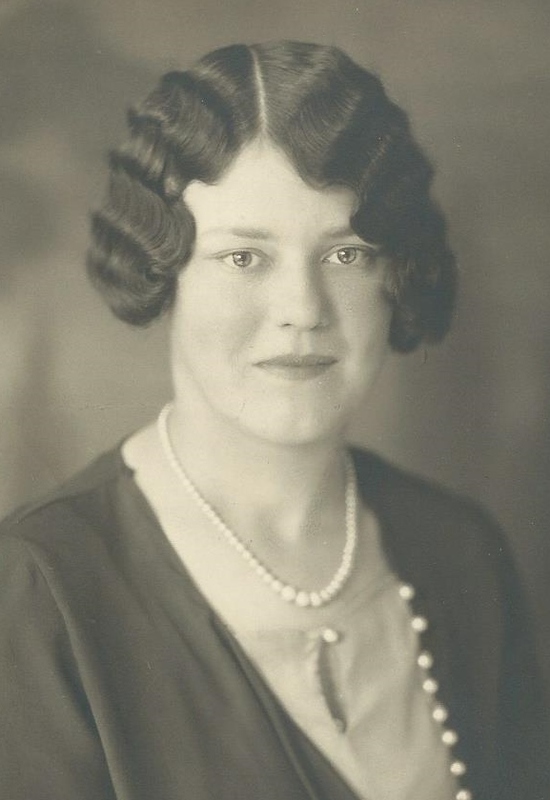 This is a picture of her at age 17. So pretty! Love those finger waves!! 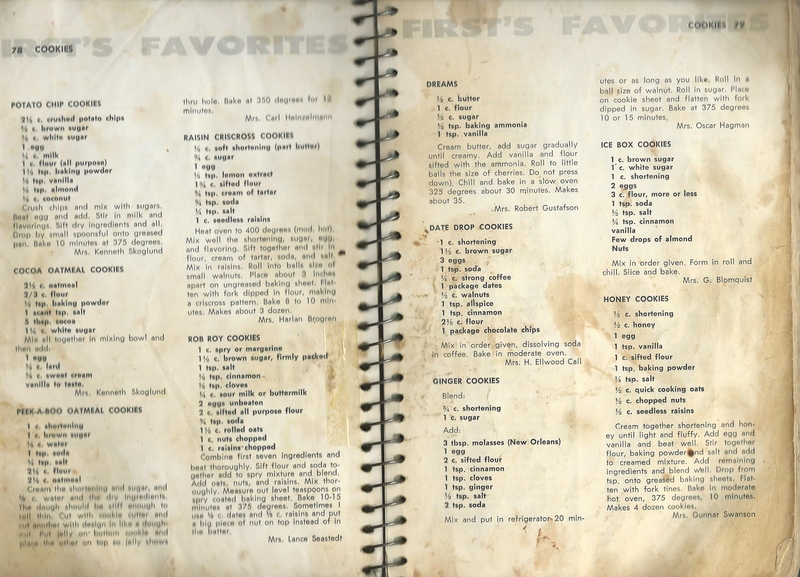 She was also a very good and prolific cook, as you can tell from this picture of her favorite cookbook. It was very well used! 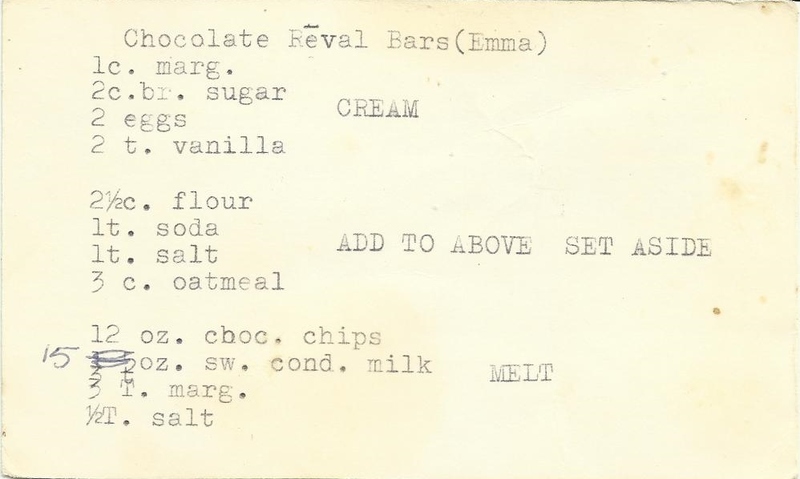 Today’s recipe is called Emma’s Chocolate Revel Bars. 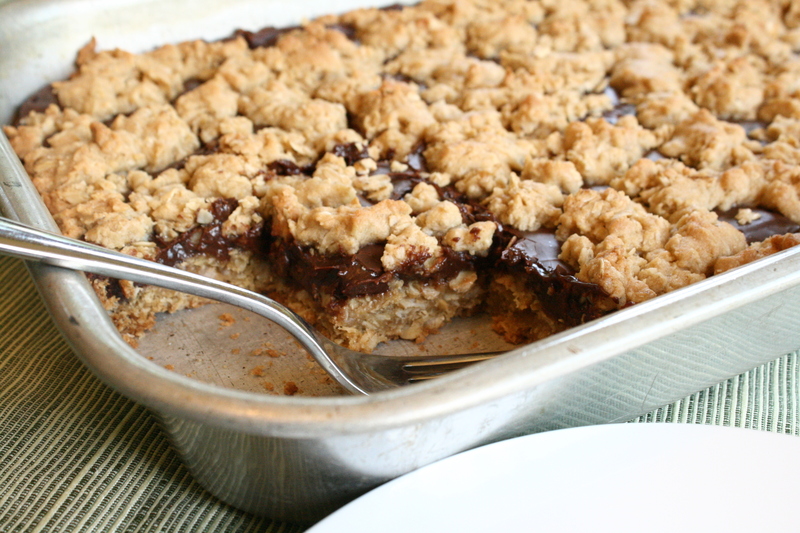 I do remember this grandma making these bars in the 70’s. 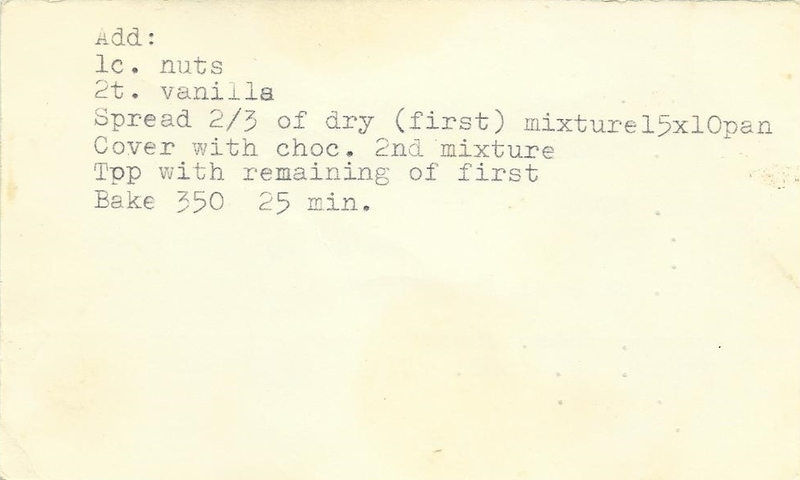 This was another recipe I thought was lost and when I asked my mom if she had it – she surprised me and said she did! Yay! 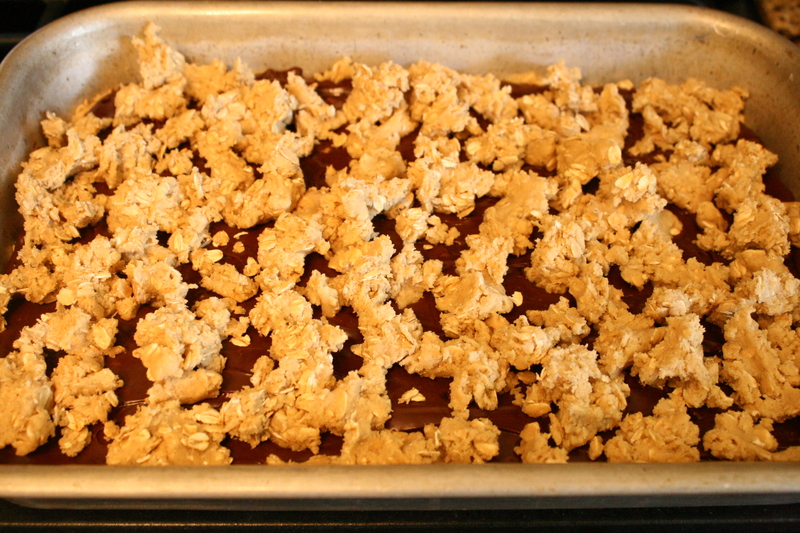 Spread 2/3 of the first mixture (dry) in a 15 x 10″ pan (I used a 9 x 13″ cake pan). 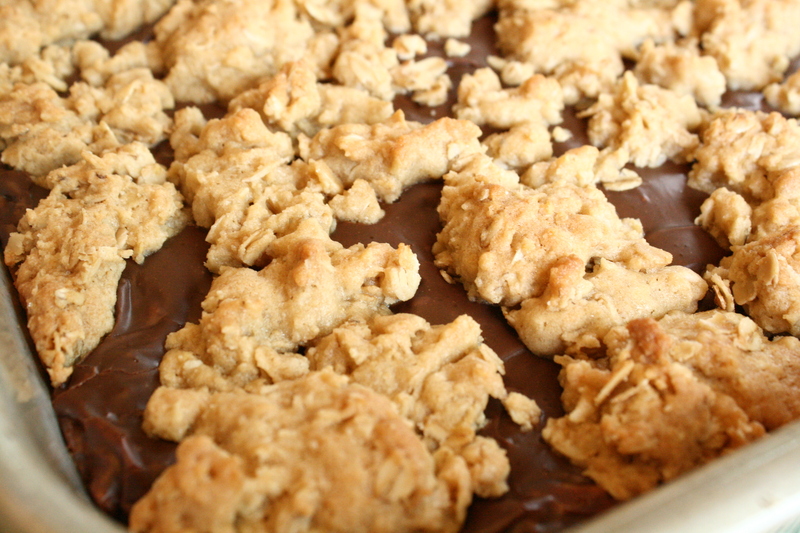 Cover with the second mixture (chocolate). 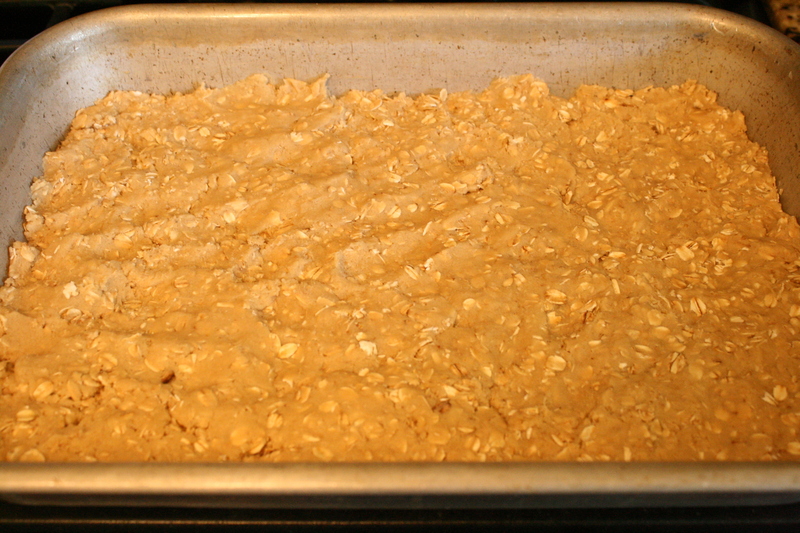 Top with the remaining first mixture (dry). 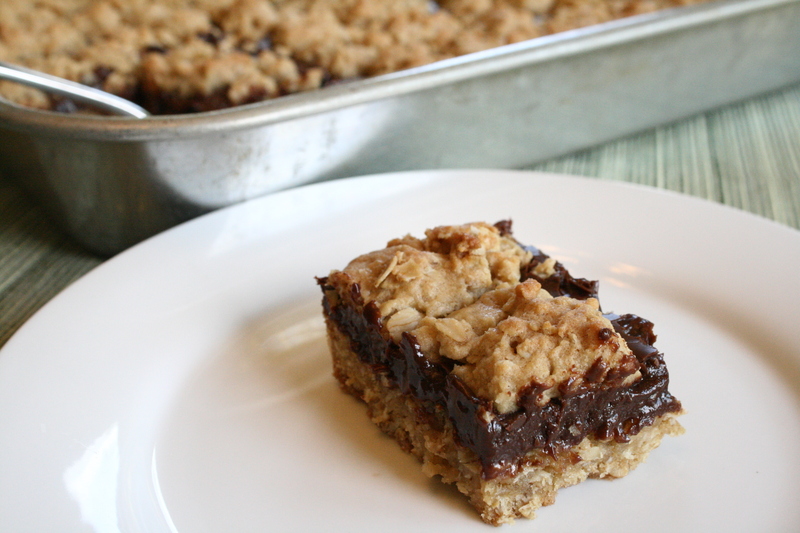 This is how it looks with the bottom layer in the pan. I patted it out with my hands – it’s thick and hard to “spread”. 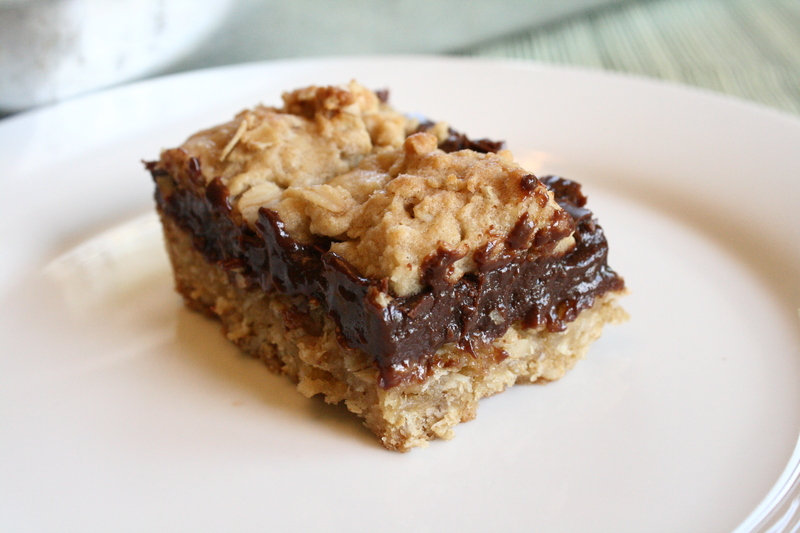 This has the chocolate layer and top layer sprinkled on. They do firm up if left to cool completely. Happy Birthday Grandma! I wish I would of learned how to cook like grandma miss her tasty treats! Always had to have a treat with coffee. This one I remember well .